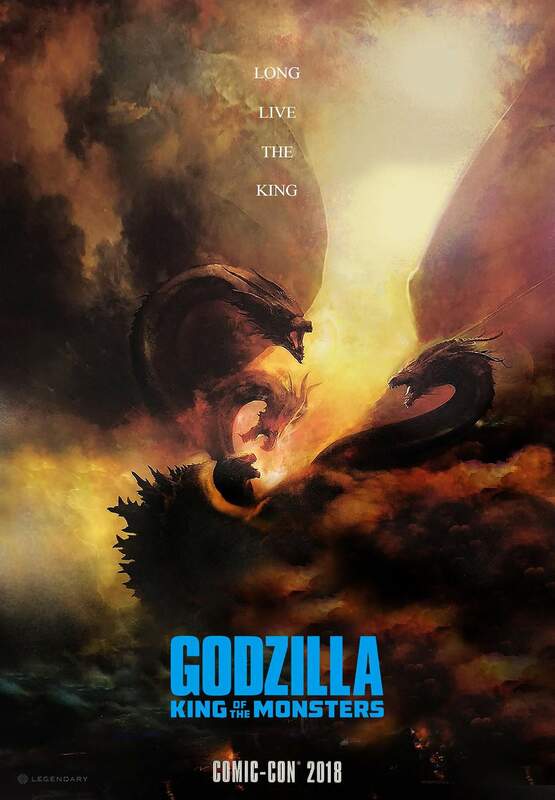 (UPDATED) Godzilla battles Ghidorah on new official King of the Monsters poster! 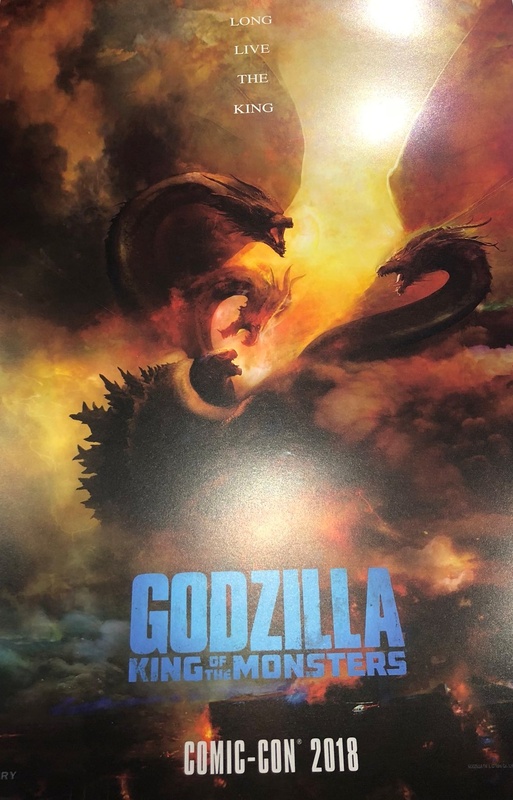 Exclusively unveiled at San Diego Comic-Con, a new poster for Michael Dougherty's Godzilla: King of the Monsters showcases Godzilla engaged in battle with the mighty King Ghidorah! 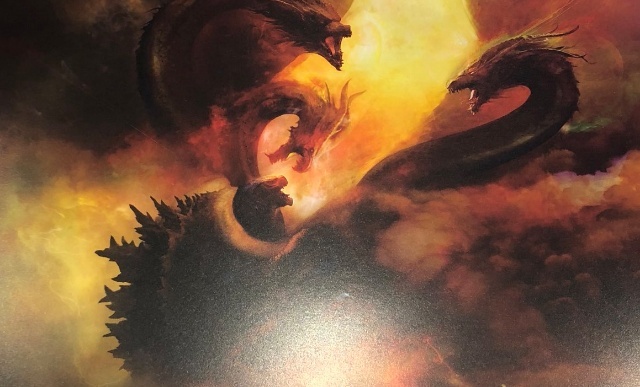 This official print shows us just how massive Ghidorah is to Godzilla and we know already that Godzilla's battle with Ghidorah will be one of epic proportions. However, this size difference will surely make it challenging for Godzilla to handle. Check out the artwork below and check back for when a HQ online scan is uploaded! This also unveils the official movie tagline being Long Live The King. If you haven't watched the first trailer for Godzilla: King of the Monsters, you need to! 14 Fan responses to (UPDATED) Godzilla battles Ghidorah on new official King of the Monsters poster! when and where can i get one!? "Any monster who must say 'I am the King' is no true king. Godzilla will be sure to remind us that when he's won this war for us." Oooh. I love it. I like how Ghidorah looks. Is the official poster for the movie? It's an official poster, yes. Theatrical poster though not likely. Just a Comic-Con art print for those who attended. Hopefully someone either A) scans it and posts it online or B) puts one up on ebay so I can buy it and then scan it in. That poster is absolutely badass. A scan has been uploaded! Original post has been updated with it! Thank you for the proper scan. Now I can use it as a background on my phone. DAAAAAAAAMN !!! Ghidorah is HUGE. So stoked for this movie. 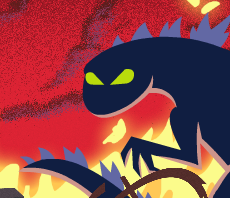 I wonder what other monster... other than the ones we know about... is going to make an appearance ? Director said 5 monsters... so... any speculations as to who? King Ghidorah is a little over 500 ft.